Perform fast, accurate in-field tissue sap testing on your crops. 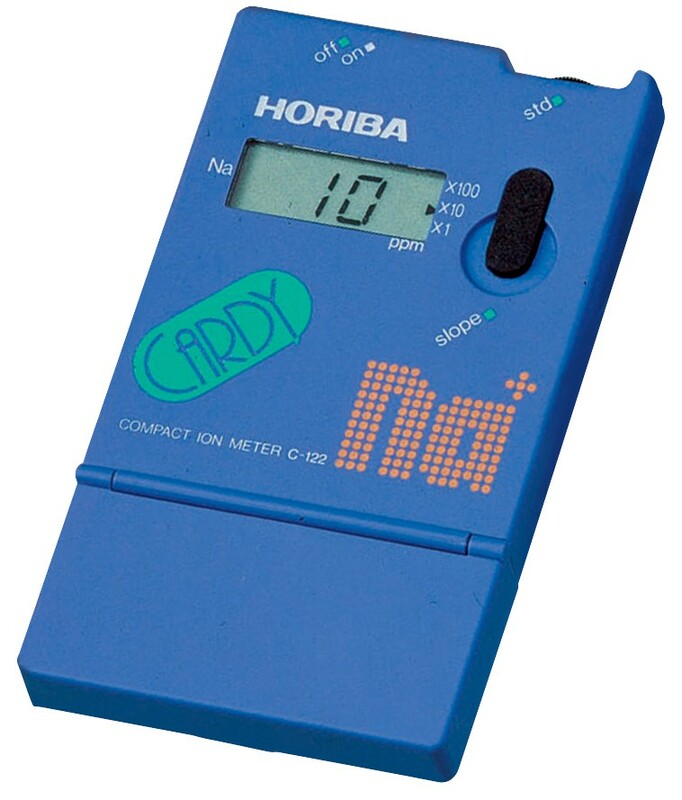 Use the Cardy Sodium Meter for soil testing and measuring nutrient solutions. Cardy Ion Meters bring microprocessor technology to the field for on-site nutrient measurement and instant management decisions. Exceptionally small and portable, Cardy meters literally put the power of routine nutrient monitoring right in your hands! The Cardy's unique, flat sensor allows you to conveniently and accurately measure small samples. The sensor is stored dry and is field-replaceable. The accuracy of these affordable meters correlates well with laboratory analysis with automatic range switching from 0 to 9,900 ppm. Note: Soil test kits (with meters) include materials for 15 tests.